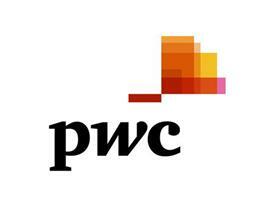 PwC’s second annual analysis of commoditization in wireless markets across the globe. PwC has increased its position as one of the world's most valuable brands in the annual Brand Finance Global 500 Index. PwC identifies three waves of automation between now and the mid-2030s and how it will impact jobs across 29 countries including the US, UK, Singapore, Russia, China, and countries in eastern europe. Sovereign Wealth Funds (SWFs) now allocate almost a quarter (23%) of their assets under management to alternative investments such as private equity, real estate, gold and infrastructure. PwC is amongst the founding partners of the World Economic Forum's IT skills initiative addressing skills gap challenge arising from automation and the Fourth Industrial Revolution. Harnessing Artificial Intelligence for the Earth, published by PwC and the World Economic Forum examines how AI can be put to work for the planet’s greatest environmental challenges.